Another month… another ATC swap! 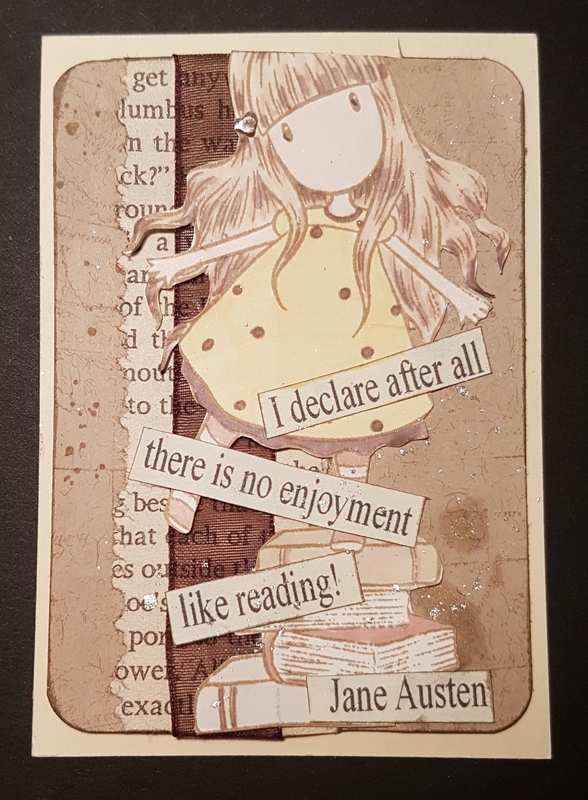 This month the theme is books and literature so I dug out the Gorjuss girl stamp I’ve used before and used the same quote I’ve also used before. I did however add some little extra splashes of gorgeous sparkle. Couldn’t resist making this as loved it so much last time I made this … so cute and love the vintage look! Next I decided to dig into the Roald Dahl stash that I’ve had for ages and rarely use. I take it out, look at it and stroke it and put it back! Time to use it… well a piece of 2.25inch x 3.25inch piece of paper and a couple of stamps…. plenty of the stash left after that excessive use I can tell you! Ha ha ha. So added watercolour to the edge of the papers to give them a vintage look and coloured in the stamped BFG and Sophie using the watercolour pencils. 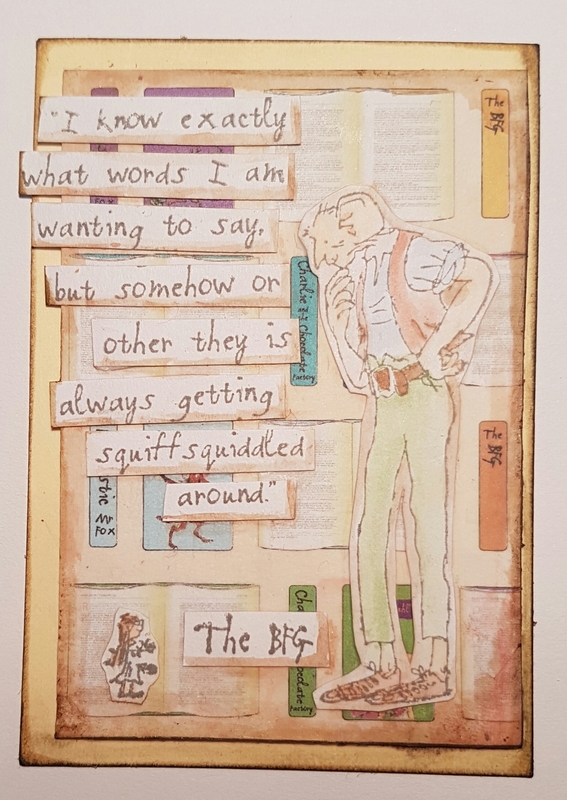 Then once I’d constructed the ATC layout and stuck everything down I added more of the watercolour as shading and to add dimension to the quote. I also used ink to edge the piece and the same of the ATC blank I mounted it on. When I had adhered them together I then took a damp finger and wiped round the edge to smear the ink a little and make the base card less clean. Really love how this came out and so pleased I am using this Roald Dahl for such a cool use instead of only stroking it and leaving it in the cupboard. Looking forward to seeing the ATC’S I get in return.